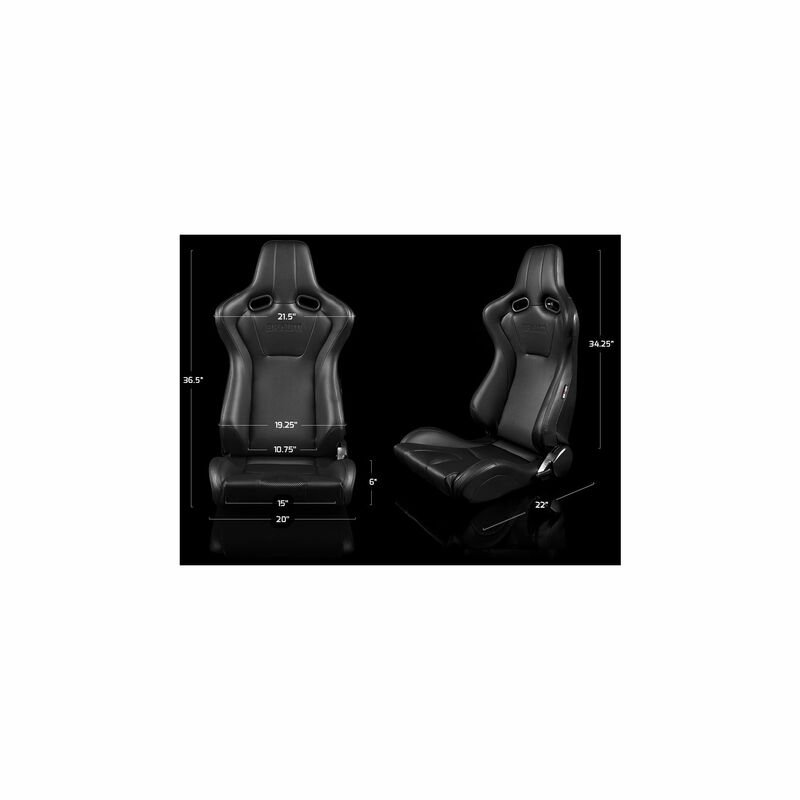 Pair of BRAUM Black Leatherette / Carbon Fiber Mixed Sport Reclining Seats with Black Stitches (BRR7-BKBK), VENOM Series. 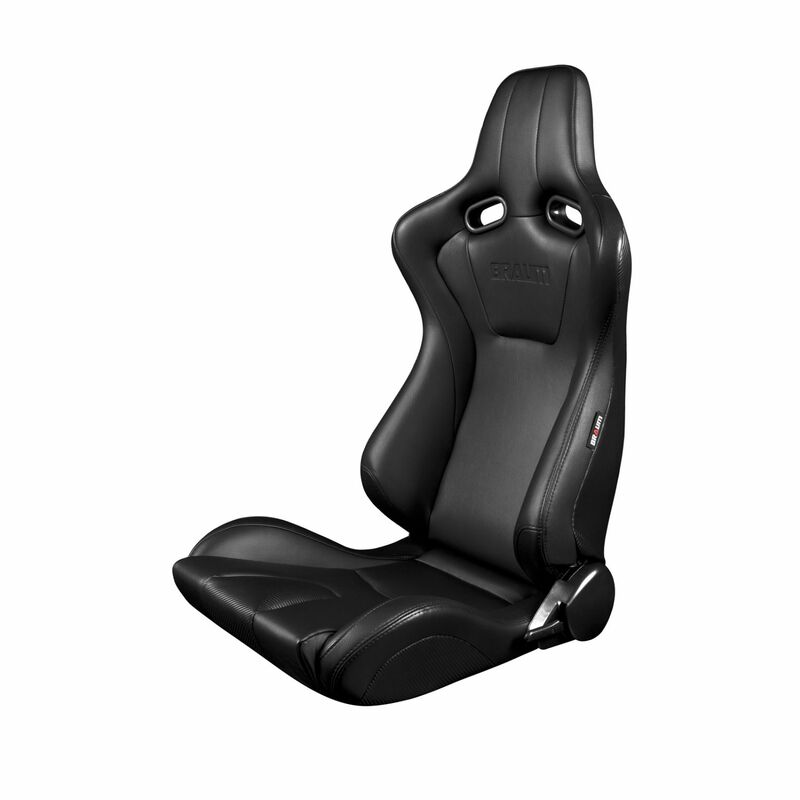 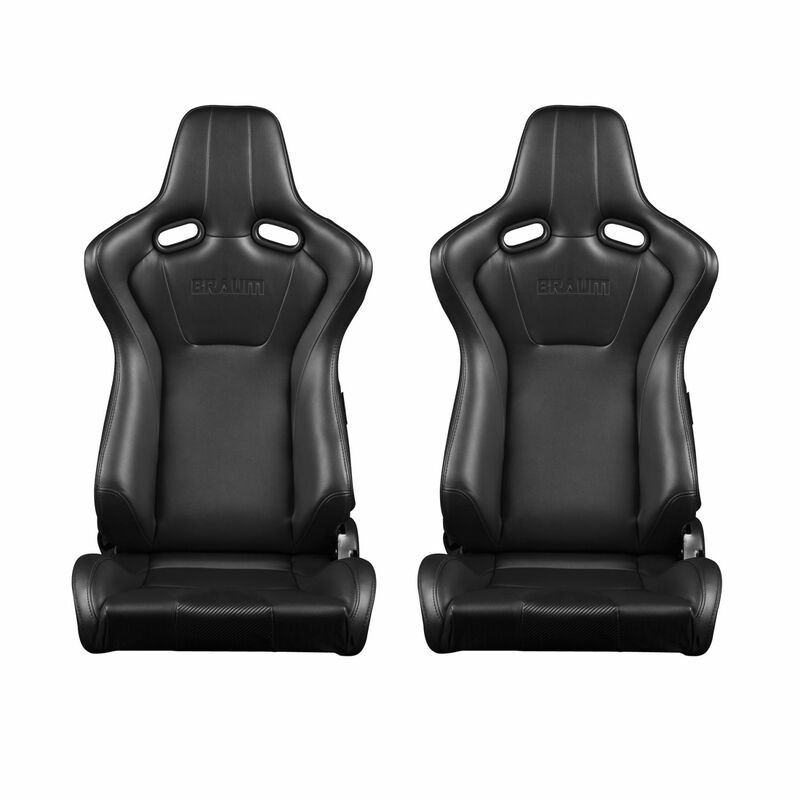 For those who tower above the average driver in height and performance, the VENOM series racing seats are the perfect fit. 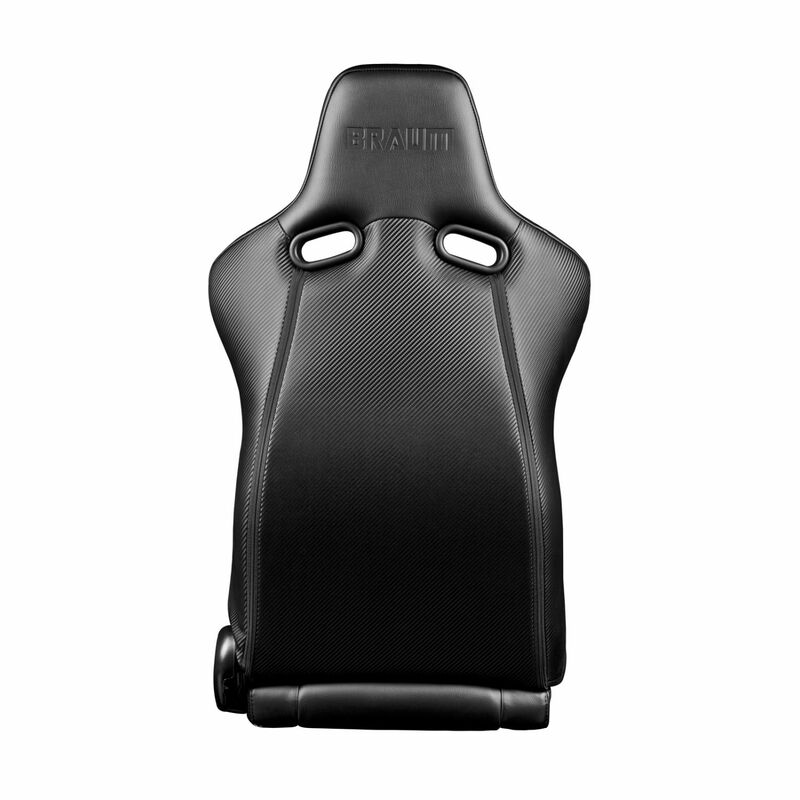 As the tallest seat in BRAUM’s lineup, the VENOM series seats offer BRAUM’s typical combination of style, support, and comfort, but in a form factor well suited for the 5’10” and above crowd. 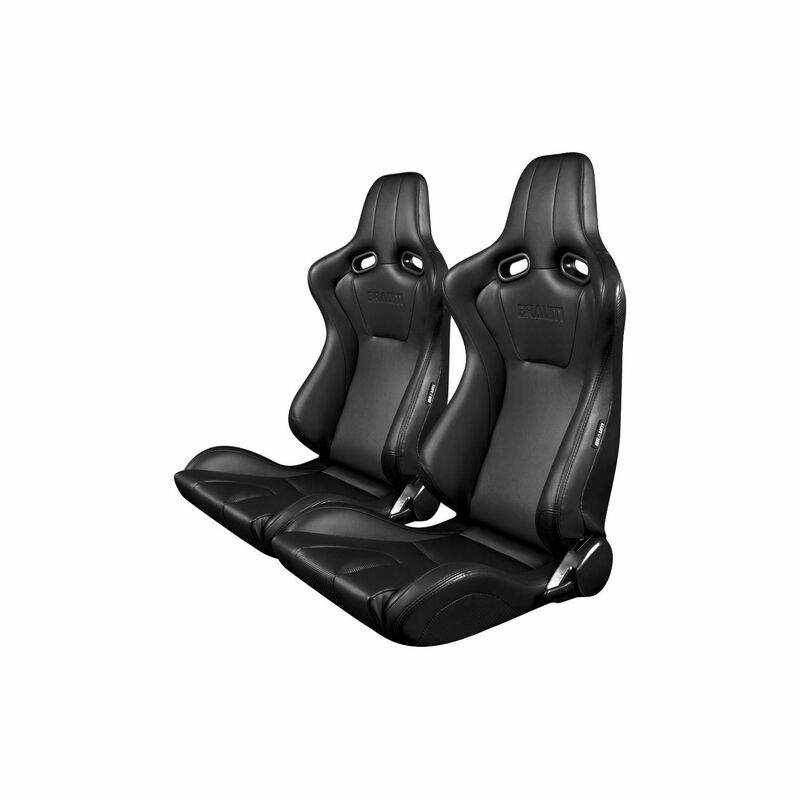 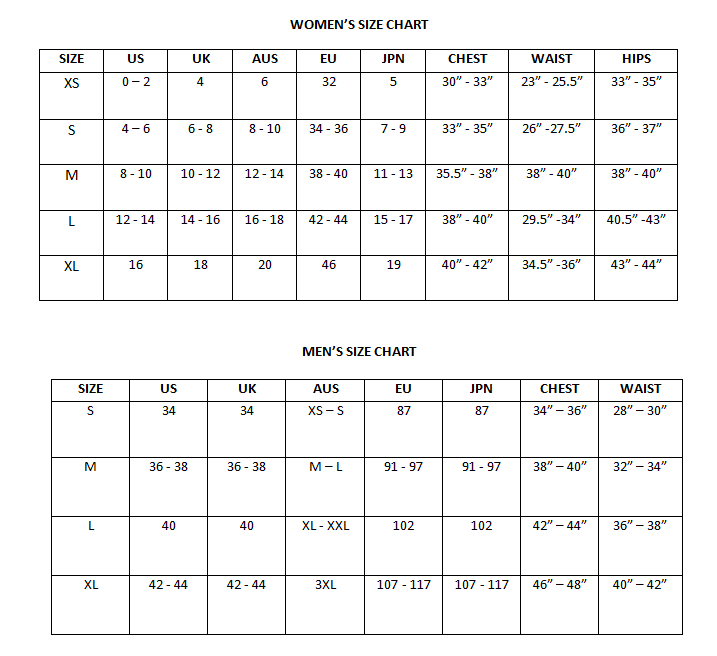 But make no mistake the seats’ long shoulder bolsters are designed to accommodate shorter drivers as well; along with gentle thigh bolsters, they provide the perfect balance between the support you demand at the track and the comfort you need on the street. 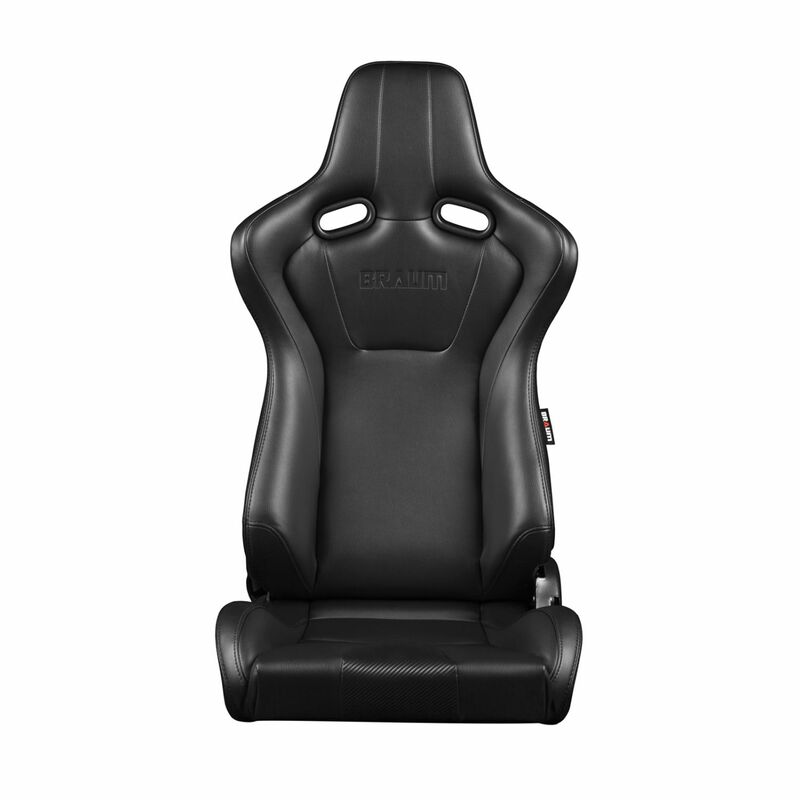 A powder coated high-strength tubular frame keeps you locked firmly in place while the injection molded foam, with its goldilocks-firm cushioning, provides the comfort you need for your long commute. 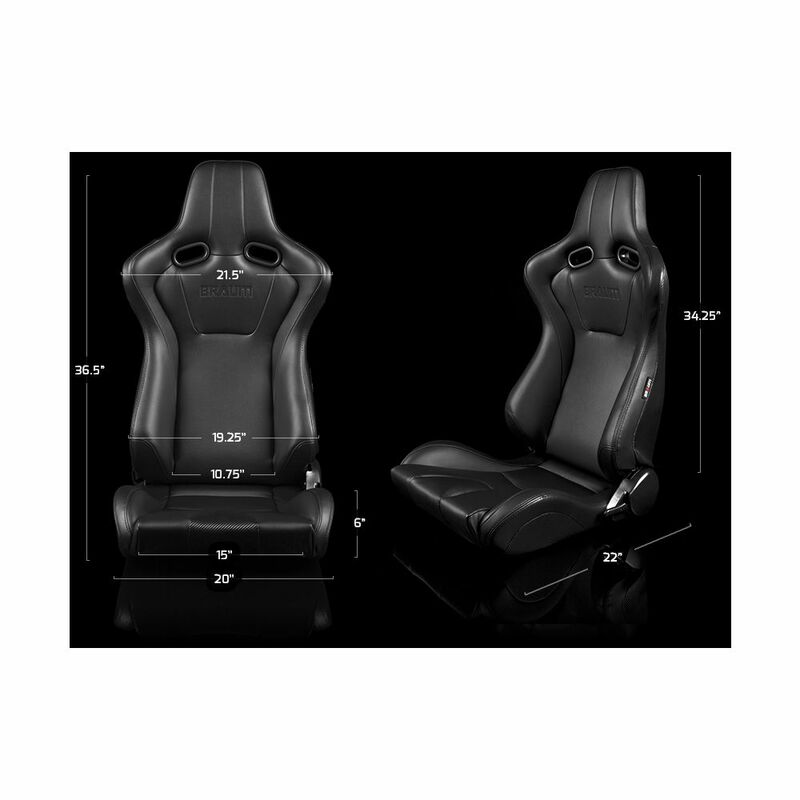 The handlebar-type reclining mechanism allows for OEM-like, quick and easy reclining for the perfect seating angle. 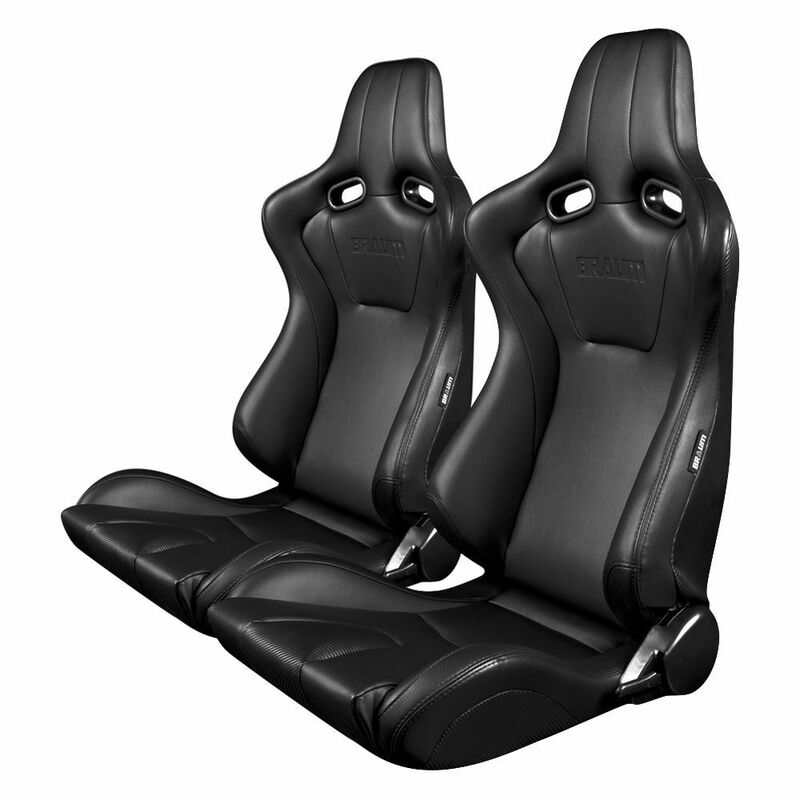 The VENOM series is perfect for staying cool and firmly seated at the track.